Sariaya Mayor Marcelo Gayeta is juggling his campaign for reelection with his quest to find justice for his son and his friend who were gunned down by policemen. But it looks like progress is being made in the case. In a Facebook post, Gayeta thanked the authorities who are helping his family prosecute the policemen behind the killings. He cited officials of the National Bureau of Investigation led by chief Dante Girran and Department of Justice led by Secretary Menardo Guevarra. He also thanked Philippine National Police officials headed by Gen. Oscar Albayalde. The mayor is also getting strength from his constituents and friends who are praying for the family in their time of grief. He asked for continued prayers as they struggle to cope, and asked for understanding as he had to turn down invitation to certain events. Campaigning and handling his son’s case are no easy tasks, but he may just succeed in both! BAYAN KONG PINAGKILINGKURAN AT MAMAYAN NA NAG MAMAHAL SATIN AT NANINIWALA..TEAM GAYETA TOLENTINO SUBOK NA…,” Gayeta posted. 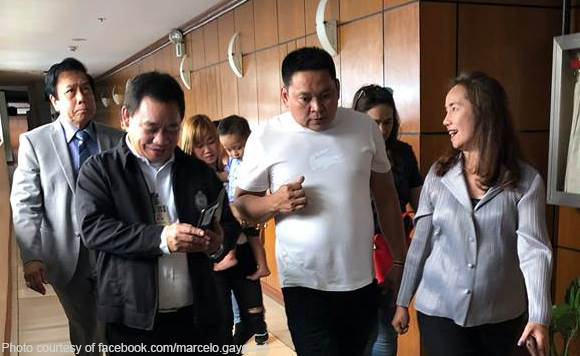 Binay visits Imee Marcos: Bi-Bong in the works? Want Politiko alerts on your inbox? Subscribe here.